Background: Chemical, biological, radiological, and nuclear threats (CBRNs) are uncommon; however, Special Operations Forces (SOF) are likely at the highest risk for tactical exposure. In the event of exposure, SOF will rely on the Joint Service Lightweight Integrated Suit Technology (JSLIST) for survival. Doctrine dictates that a tourniquet should be applied over the JSLIST after a severe limb injury with hemorrhage. There is no evidence in the literature that the Combat Application Tourniquet (C-A-T), which is currently the most widely available tourniquet on the battlefield, can effectively occlude arterial blood flow when applied over the JSLIST. We hypothesized that C-A-T application over the JSLIST would be ineffective at occluding arterial blood flow in the lower extremity. Materials and Methods: Following institutional review board approval, 20 healthy volunteers were recruited to participate. All volunteers wore the G3 Combat Pant and they donned the JSLIST. First, an operating room pneumatic tourniquet (gold standard) was applied in the proximal thigh and inflated to 300mmHg. Distal arterial interrogation was performed by examination of distal pulses and noninvasive arterial plethysmography wave-form analysis. After a 1-hour recovery period, the C-A-T was applied and tightened. A double routing technique was used, with three 180° turns of the windlass. The same distal interrogation followed. Half of the volunteers had the pneumatic tourniquet applied first, and the other half had the C-A-T applied first. Results: All volunteers had palpable pulses at baseline despite a wide range in volunteer body mass index. Distal pulses were absent in all volunteers following inflation of the pneumatic tourniquet as well as tightening of the C-A-T. The observed difference between the mean amplitude of plethysmographic waveforms was not different. Conclusion: The C-A-T effectively occludes arterial flow in the lower extremity, even when applied over the JSLIST. 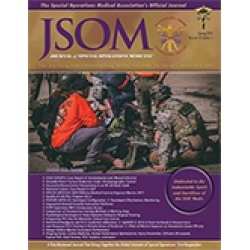 This finding supports existing military doctrine for tourniquet application over the JSLIST in the nonpermissive CBRN environment to control extremity exsanguination.